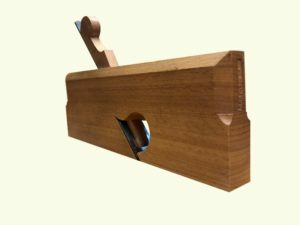 The Rabbet-Plane, is used to make a kind of Gutter or Rabbet, as it is called by Workmen, on the Edge of a Board, in order for a Door or Window to shut close into, as also for Fillets in Mouldings, etc. 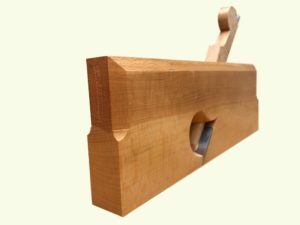 A wider rabbet plane, like 7/8” or 1”, will be used to create the rabbets that will ultimately be used as a fence and guide for the other planes to follow. A smaller rabbet, like 5/8”, can be used to remove much of the waste on a 90 degree corner before being touched by a hollow. 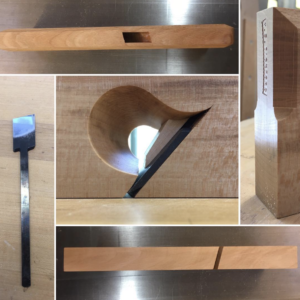 This will reduce the amount of honing necessary for the more complex shapes. 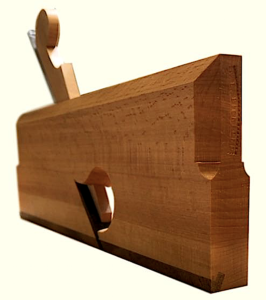 Further information regarding rabbet planes and their use may be found here.